It isn’t surprising that many couples today are looking to the countryside for inspiration when it comes to planning their weddings. Charming and down to earth, country weddings have a lot to offer. Set among hills, fields, old buildings, and rustic barns, a ceremony in the countryside is the perfect way to begin a new life together. 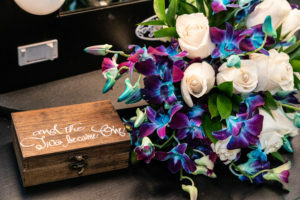 This article will help you get started in planning the country wedding of a lifetime by providing you with some great country wedding ideas and suggestions. One of the best things about country weddings is that they can be informal and casual in style and attire. The couple, the wedding party members, and the guests can all dress in comfortable clothing rather than traditional formal attire. Clothing can range from sundresses to jeans. Even cowboy boots and hats are within the realm of possibility. Instead of a traditional bouquet, you might consider carrying a bouquet of wildflowers or sunflowers. 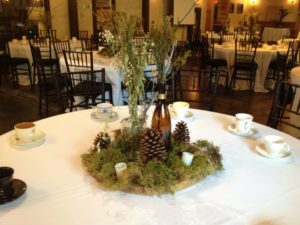 For centerpieces, daisies or combinations of flowers and branches in pitchers or antique vases will add a rustic touch. Country weddings usually have a casual vibe and are often held outdoors, weather permitting. Using picnic tables with checkered tablecloths, lanterns, candles, and antique chairs and benches can help create that perfect country feeling. Adding wooden doors and panels, hay bales, mason jars, and textured fabrics to your décor adds to the country charm. A live bluegrass or country band will help set the country mood, and the right music will inspire you and your guests to dance the night away. 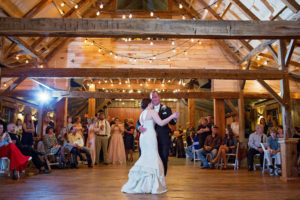 For walking down the aisle and for your first dance, you can choose from some of the many great country love songs. 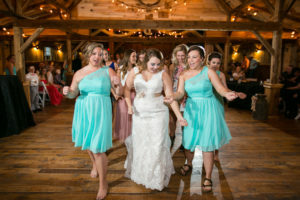 For the reception, you might want to go with some more upbeat and fun selections and try to get your guests to try their hand at some country dancing. When it comes to food for a country wedding, you will want to plan a menu that fits your theme and satisfies your guests’ appetites. For appetizers, you might serve up biscuits, cornbread, fried tomatoes, and corn on the cob. For the main dish, consider some classic country fare like pulled pork, fried chicken, or battered fish. Place some bottled drinks in large tubs to keep your guests hydrated during the reception, and serve up some pitchers of iced tea and apple cider to get them in the country spirit. Adult beverages might include sparkling punch or white sangria served in mason jars along with a selection of local wines, craft beers, and hard ciders. Assorted fresh fruit pies and a farm-inspired wedding cake are great ways to finish off the meal in country style. 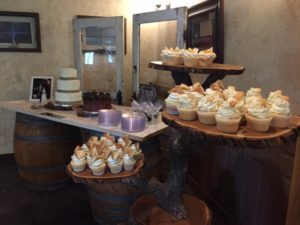 A simple tiered wedding cake can be decorated with flowers or fruit and adorned with a country-themed topper such as a burlap rose or an engraved wood slice. Reflect the country theme by choosing a rustic venue with a warm and inviting feel and plenty of outdoor space. 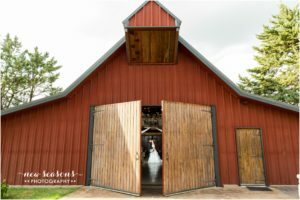 A wedding in a barn or a farmhouse out in the countryside surrounded by natural scenery is ideal, but you can find barn-style venues just about anywhere. If a barn isn’t available, you can recreate the country vibe by decorating your chosen venue with greenery and by using brambles and wildflowers as centerpieces. For a down-home touch, include jars of jam as part of the place setting. 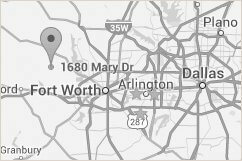 If you are looking for a unique wedding venue weatherford, TX , Hollow Hill Farm is a great choice. Surrounded by rolling hills and gardens, the farm makes an ideal setting for the country wedding of your dreams. At the end of the day, wherever you choose to have your wedding and whatever details you incorporate, you and your guests are sure to have an amazing time. Why not book your wedding venue today or schedule a tour.